This lovely, spacious, 3 bedroom unit sleeps up to 8 people (max 6 adults + 2 children) and is in a secure complex in Palm Beach with direct access to the beach, and a lovely tidal pool only a short walk away. Enjoy stunning sea views from our wooden deck or just relax and listen to the calming sounds of the ocean waves. 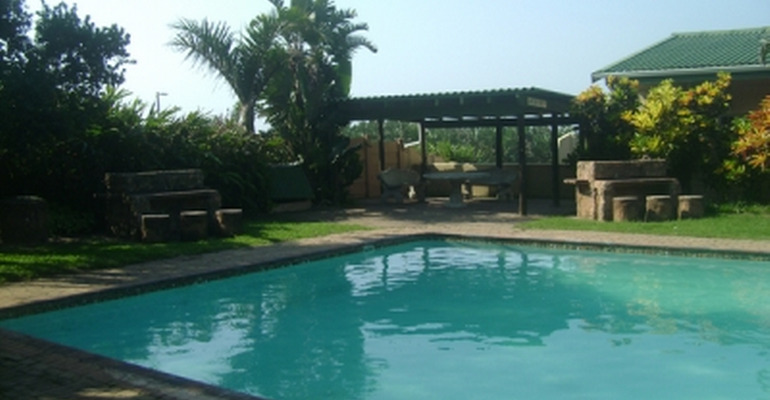 The complex has 2 swimming pools with lapa and braai area, laundromat and superette. Palm Beach is not far from the Wild Coast Sun with it's Water Park, Casino and golf course. A choice of the best swimming beaches are within a 5km radius. Directions; take R61 to Port Edward, take second Palm Beach turnoff where there is a large signpost with resort names. Follow signs to Greenhart Village - left into Prince henry Ave, right into Jan van Riebeeck, right into Houlton road takes you directly to complex.